This topic will guide you through publishing a CMS site so that it will successfully show up on the internet. In the Folders tree, select a root folder. 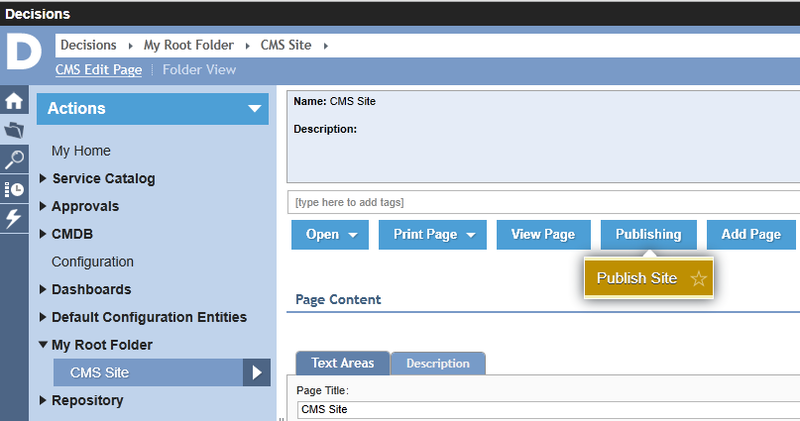 Click the name of the CMS site you wish to publish to view the site details. Click the "Publishing	" button at the top of the workspace and select "Publish Site	" from the menu. A notification will appear to tell you that the site was successfully published. Use the "Publishing	" button and select "View Published Site	" to view the site.